If we’re being honest, would anyone actually be surprised that ghosts hang out in Walmart? I wouldn’t. But I do feel safer now. Guys, the clear medical tubing ruins the costume. 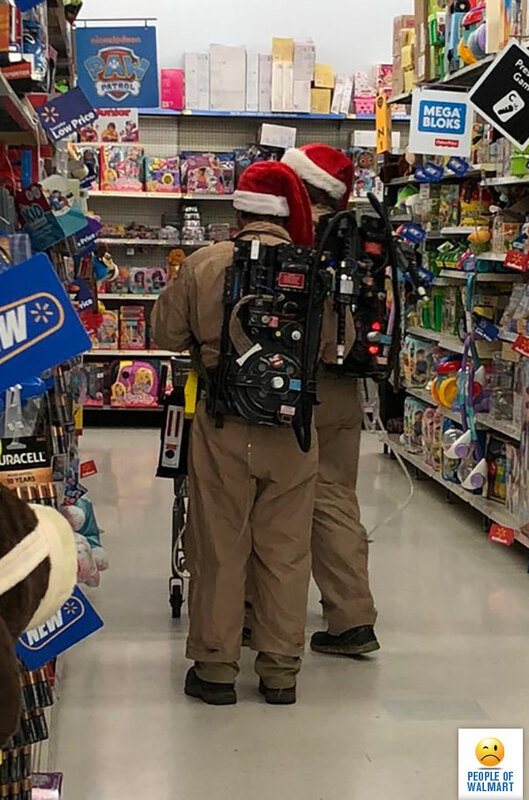 Instead of proton packs, it looks like you are wearing some kind of portable medical devices. I expect there to be oxygen or yellow liquid flowing.